I posted five years ago a couple months ago about a paper mache adventure involving faux taxidermy. It was hard to coordinate all our schedules together to finish our projects, but we finally did manage to get the moose under control. 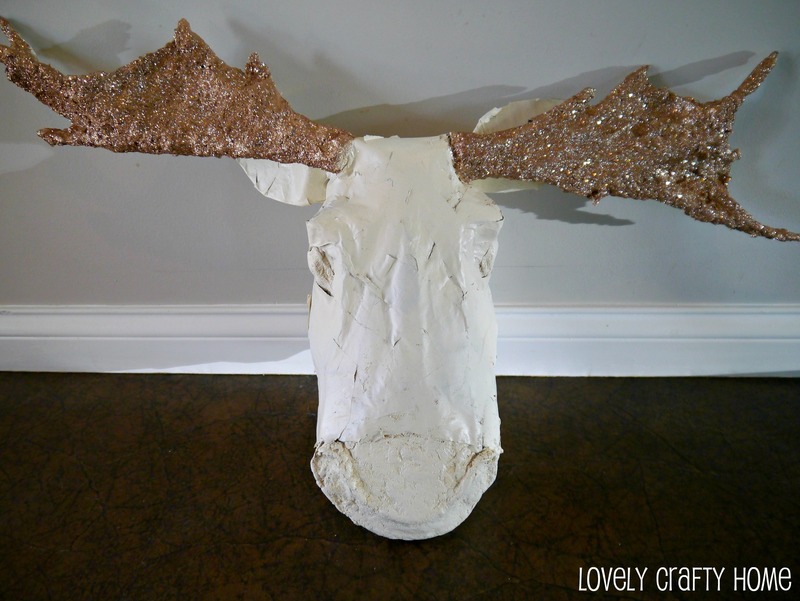 He belongs to my friend Lindsey who decided to spray paint him a lovely ivory color and glitter his antlers…check it out! She’s still deciding how she wants to hang him, but we all think he turned out pretty cool for costing just a few dollars in supplies! 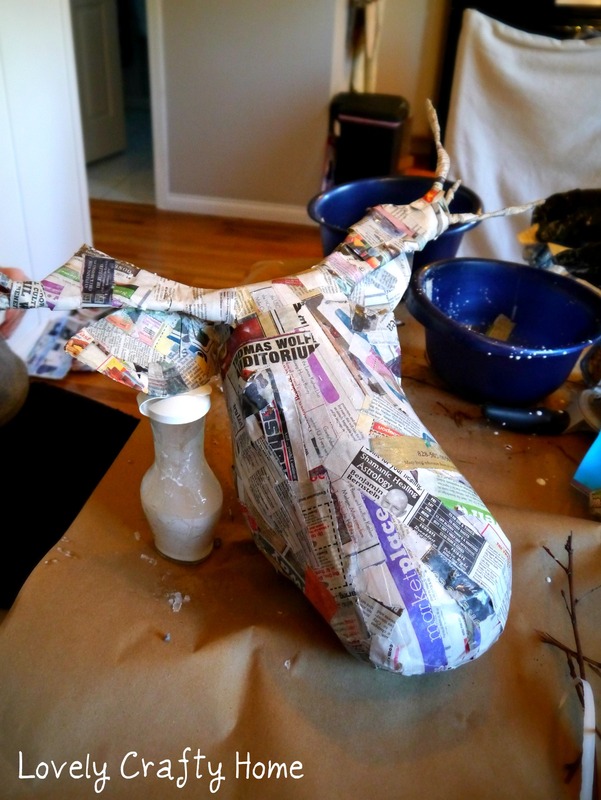 My deer is still under construction (poor guy had some structural issues that needed tending). Hopefully he’ll be done later this week. 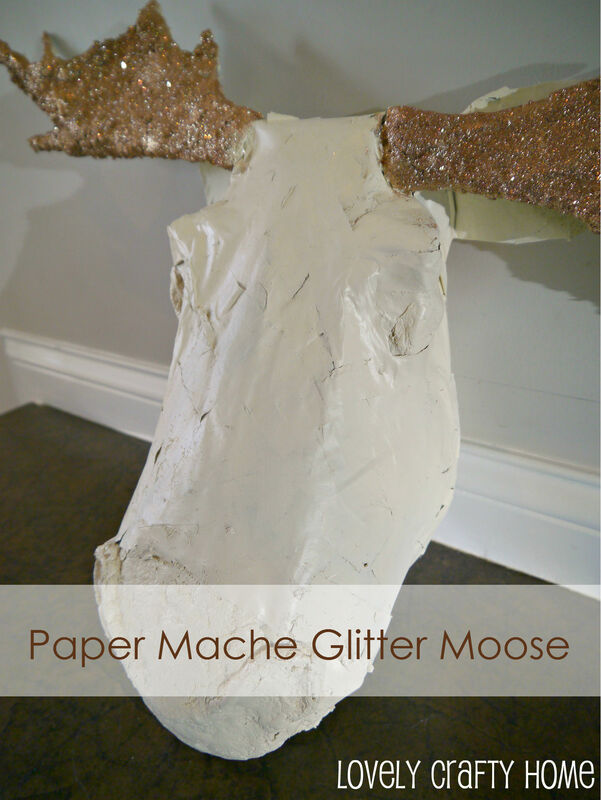 Have you all paper mache’d anything recently? He’s a very cute moose. Love paper mâché!